LANGFORD, BC – Canada head coach John Tait has announced his historic 13-player roster to take part in Women’s Rugby Sevens’ Commonwealth Games debut next month on the Gold Coast of Australia. Canada will depart for the Gold Coast on April 6 for their third-ever multi-sport games as they hunt for another piece of silverware to go along with their bronze from the 2016 Rio de Janeiro Olympic Games and gold from the 2015 Pan-American Games in Toronto. Tait has named a formidable squad which includes captain Ghislaine Landry and Julia Greenshields who have been in fine form so far this season, each scoring over 60 points after only two legs on the HSBC World Rugby Women’s Sevens Series. Greenshields currently finds herself in third place for most tries scored on the series with 12, while Landry remains the all-time points scoring leader on the world series with 906 points, 86 more than the next highest Portia Woodman of New Zealand. “It’s an honour to be named to the first-ever Commonwealth Games roster for Canada. Having seen success as part of Team Canada in both Rio de Janeiro and Toronto, we’re incredibly excited to take part on the Gold Coast in what will be a historic tournament for Women’s Rugby,” said Landry. Canada enter the Games ranked third on the World Series standings after 3rd and 4th place finishes in Sydney and Dubai respectively. They have been drawn in a tough pool alongside one of the favourites for the title, New Zealand, as well as dangerous outfits from South Africa and Kenya. The action continues the following weekend as Canada travel to Japan to take part in the third leg of the series in Kitakyushu. Japan has been a happy hunting ground for Canada this past year as the Maple Leafs claimed gold here a few weeks ago and last year Canada won one of their two silver medals on the season. “We are excited for another opportunity to compete at a multi-sport games, even more so with these games as it will be a first time ever and feature the current top three teams in the world,” said Tait from Langford. “Selection, for the first time this season has been extremely tough, with the return of some of our most experienced players along with a few of the younger ones putting they hands up with some really good consistent play of late,“ he added. Tait’s roster will be bolstered by the return of speedsters Bianca Farella and Charity Williams, who have have been sidelined with injury since last season. Jen Kish, however, is not available for selection based on a re-occurring injury. “Obviously, not having a player of Jen’s caliber and experience is a hit to us, she played great in Sydney winning some crucial turnovers at critical times for us and creating so much space for others on attack. She has been playing with some lingering injuries from the past couple of seasons but showed her character and toughness to play through them for the team,” said Tait. The Commonwealth Games rugby sevens will take place from 13-15 April at the 27,500 capacity Robina Stadium in Robina, Queensland, Australia. "I'm looking forward to seeing our Canadian athletes storm the field in rugby sevens in Gold Coast," said Chef de Mission Claire Carver-Dias. "Especially the women's team, which will join the other nations in the first ever women's rugby sevens competition at the Commonwealth Games." 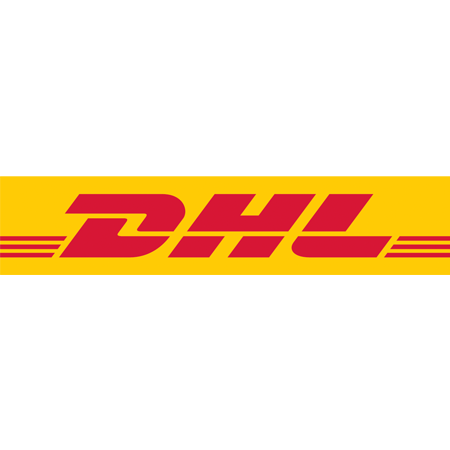 Note – The Commonwealth Games will not count for HSBC World Series points. Broadcast details will be announced in the coming weeks. The entire Canadian Team will be officially announced by Commonwealth Games Canada on Monday, March 26th. The 2018 Games will take place April 4-15, 2018 in Gold Coast, Australia, with 70 participating countries and over 4000 athletes taking part. Commonwealth Games Canada (CGC) is the international franchise holder for the Commonwealth Games and Commonwealth movement in Canada, and an active, contributing member of the Canadian sport community. The mission of CGC is to strengthen sport within Canada and throughout the Commonwealth by participating in the Commonwealth Games and by using sport as a development tool. Visit www.commonwealthgames.ca for information. Rugby Canada is the national governing body of the sport of rugby union in Canada. Rugby Union has a long history in Canada dating back to its initial appearances in the 1860s. Since 1974, Rugby Canada has been a permanent fixture on the global rugby scene, including trips to each of the eight Rugby World Cup tournaments and seven Women’s Rugby World Cup tournaments. 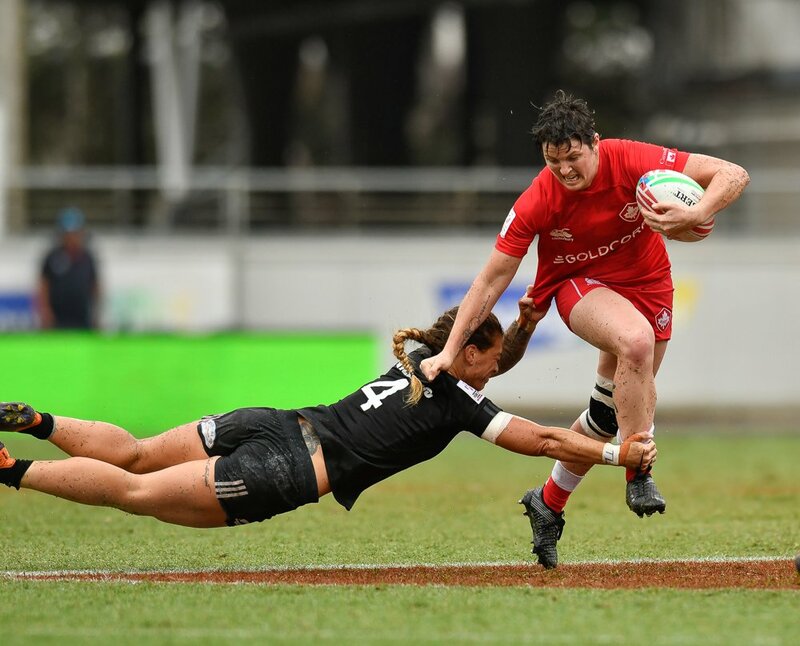 As a regular on the men’s and women’s HSBC World Rugby Sevens Series, Canada continues to climb the world rankings and challenge the dominant rugby nations in both versions of the game. 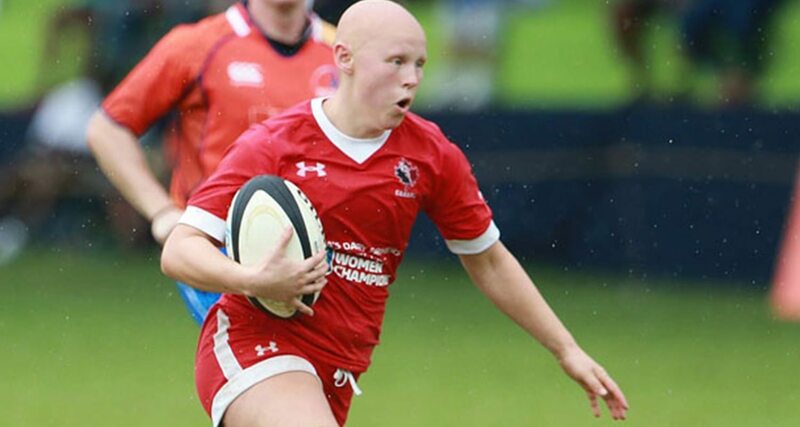 To support the growth of rugby at the grass-roots level and to ensure there are elite programs prospering young rugby players to become involved, Rugby Canada has put an emphasis on developing its junior programs. Our goal is the develop and train competitive teams for the 2020 Summer Olympic Games in Japan, 2018 Rugby World Cup Sevens in USA and 2019 Men’s Rugby World Cup in Japan and beyond. Les Canadiennes s’envoleront pour Gold Coast le 6 avril pour leurs troisièmes grands Jeux de leur histoire alors qu’elles visent un autre podium après leur médaille de bronze remportée aux Jeux olympiques de Rio en 2016 et leur médaille d’or aux Jeux panaméricains de 2015 à Toronto. Tait a nommé un groupe formidable, avec notamment la capitaine Ghislaine Landry et Julia Greenshields qui ton tété en grande forme jusqu’à présent cette saison, ayant chacune amassé plus de 60 points après seulement deux étapes de la Série de R7 féminin de World Rugby HSBC. Greenshields (12) occupe présentement le troisième rang pour le plus grand nombre d’essais marqués cette saison tandis que Landry est la meilleure joueuse de tous les temps de la Série mondiale avec une production de 906 points, soit 86 de plus que sa plus proche poursuivante, la Néo-Zélandaise Portia Woodman. « C’est un honneur d’être nommée au sein de la première formation canadienne pour les Jeux du Commonwealth. Ayant vu les succès du Canada à Rio et à Toronto, nous sommes très enthousiastes de participer à la compétition à Gold Coast, qui sera un tournoi historique pour le rugby féminin », estime Landry. Le Canada débarque à ces Jeux au troisième rang du classement de la Série mondiale après avoir pris le troisième rang à Sydney et le quatrième rang à Dubaï. Elles se retrouvent au sein d’un groupe relevé avec la Nouvelle-Zélande, une des favorites pour le titre, ainsi que les toujours dangereuses formations de l’Afrique du Sud et du Kenya. L’action se poursuivra le weekend suivant alors que le Canada se rendra au Japon pour participer à la troisième étape de la série à Kitakyushu. Le Japon a été un terrain fertile pour les Canadiennes alors que les Maple Leafs y ont remporté l’or il y a quelques semaines et le Canada y a remporté une de ses deux médailles d’argent de la saison dernière. « Nous sommes enthousiastes de participer à d’autres Jeux multisports, étant donné que cette compétition est une première et réunit les trois meilleures équipes au monde », indique Tait lorsque rencontré à Langford avant le départ de l’équipe. « Pour la première fois, la sélection a été ardue cette saison avec le retour de certaines de nos joueuses plus expérimentées alors que nos jeunes joueuses s’illustrent par leur régularité lors des derniers tournois », ajoute-t-il. Le groupe de Tait sera ancré par le retour des marchandes de vitesse Bianca Farella et Charity Williams, écartées par des blessures depuis la saison dernière. Toutefois, Jen Kish ne sera pas disponible en raison d’une blessure qui ne guérit pas. « Il est certain que l’absence d’une joueuse du calibre de Jen nous fait mal puisqu’elle a été excellente à Sydney pour remporter plusieurs revirements à des moments critiques et créant tellement d’espace pour les autres à l’attaque. Elle a joué malgré des blessures au cours des dernières saisons, mais elle a démontré du caractère et de la dureté à jouer malgré ces pépins pour le bien de l’équipe », indique Tait. Le tournoi de R7 des Jeux du Commonwealth se déroulera du 13 au 15 avril au stade Robina, un amphithéâtre de 27 500 places à Robina dans le Queensland en Australie. Note – Les Jeux du Commonwealth ne comptent pas au classement de la Série mondiale HSBC. Les Jeux du Commonwealth 2018 se déroulent du 4 au 15 avril 2018 à Gold Coast en Australie avec 70 nations participantes et plus de 4000 athlètes.